Aside from LeBron James, no NBA star has been in the news more than Celtics point guard Kyrie Irving — and he hasn’t done himself many favors. 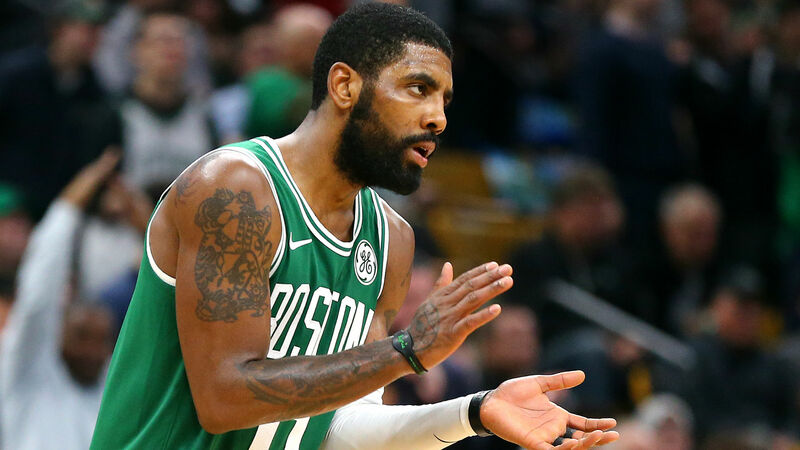 Irving has called out his teammates, urged younger Celtics to play better, waffled on his intentions on whether or not he’ll re-sign with Boston this offseason and blamed media scrutiny for his unpleasant attitude in recent weeks. Sunday after a win against the Lakers, Irving addressed his behavior. Irving, 26, said he’s off social media to “disconnect myself to focus on me, rather than getting information and validation from everyone else.” However, he acknowledged his standing as a star NBA player can require a different level of awareness. Irving called James earlier this year seeking leadership advice and offered an apology for being a tough teammate to deal with earlier in his career when the two were teammates in Cleveland. He’s taken those lessons and tried to apply them to his own brand of leadership late in the season, especially in front of microphones. Read the full Yahoo story here.